* COMPLETE, Absolutely No Missing Pages! * Official Service INFORMATION You Can Count On! 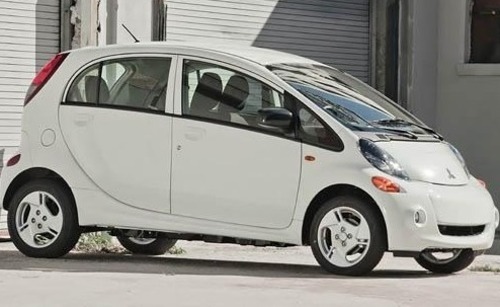 This high QUALITY official manual for 2012 Mitsubishi i-MiEV (Peugeot iOn, Citroën C-Zero) is 100 percents COMPLETE and INTACT, no MISSING, CORRUPT pages, sections to freak you out! DO AVOID THE CHEAP, INCOMPLETE, INFERIOR MANUALS AVAILABLE FOR A COUPLE OF BUCKS! YOU GET WHAT YOU PAY FOR. DO IT RIGHT THE FIRST TIME; CHOOSE THE ONLY MANUAL YOU WILL EVER NEED! INSTANT DELIVERY: A download link will be sent to you instantly after payment. Simply click on the link and save it to your computer. You can use this Manual as long as you wish with no restrictions. CUSTOMER SATISFACTION: If there is ANY kind of problem with the item you purchased, just drop a quick email. Within HOURS the issue shall be taken care of. PRINTABLE MANUAL WITH DIAGRAMS: Just print the manual out and start to work. You can also use the manual with your Tablet/Laptop in your garage. REFUND/EXCHANGE POLICY: We sell high QUALITY products only. However if you encounter any problems with the item you purchased, another replacement link will be sent to you. If we're at fault, you will get 100 percents refund. Buy ☆THE BEST MANUAL ON THE INTERNET☆ from responsible seller and get instant download now without uncertainty or surprise. This highly detailed workshop service repair manual for download contains virtually everything you will ever need to repair, maintain, rebuild, refurbish or restore Your ******** (ALL MODELS ARE COVERED). All diagnostic and repair procedures and gives you access to the same information that professional technicians and mechanics have. You can view and print out the complete repair procedures with this workshop service repair manual Download - you do not need to be skilled with a computer. Factory repair manuals are the same manuals as those used by the dealers. As they are primarily intended for dealer use the manufacturers usually release a base repair manual when a new model is introduced (either a single manual, multi-volume set or separate volumes) and then release supplementary manuals as the model changes, for example a model facelift or introduction of a new engine. Supplements generally cover only changes to the model and are intended to be used in conjunction with the base repair manual(s). For full coverage you will need the base repair manual and all relevant supplements up to the date your model was manufactured. Please note that workshop manuals are usually written for models sold in a specific country. Differences in specification can exist between models sold in different countries and items such as engines can vary. General Information, Specifications, Lube Points, Oil Types, Periodic Maintenance and Tune-Up Procedures, Engine Servicing, Disassembly, Reassembly, Engine Removal, Fuel and Lubrication Systems, Carb Rebuild, Carb Adjustments, Electrical System, Ignition, Charging, Starter, Battery, Switches, Chassis, Wheels, Brakes, Steering, Suspension, Axles, Chassis Assembly, Servicing Information, Wiring Diagrams, Wire/Cable/Hose Routing, Tools, Tightening Torques, Service Data, Complete Engine Service, Fuel System Service, All Factory Repair Procedures, Wiring Diagrams, Gearbox, Exhaust System, Suspension, Fault Finding, Clutch Removal and Installation, Front Suspension, Bodywork, Gearbox Service, Gearbox Removal and Installation, Cooling System, Detailed Specifications, Transmission, Factory Maintenance Schedules, Electrics, Engine Firing Order, Brake Servicing Procedures, U-Joint Service Procedures, CV Joint Service Procedures, Timing Chain Service, Exhaust Service, Abundant Illustrations, Lots of pictures & diagrams, Plus Lots More. This file is sold by lsof, an independent seller on Tradebit.